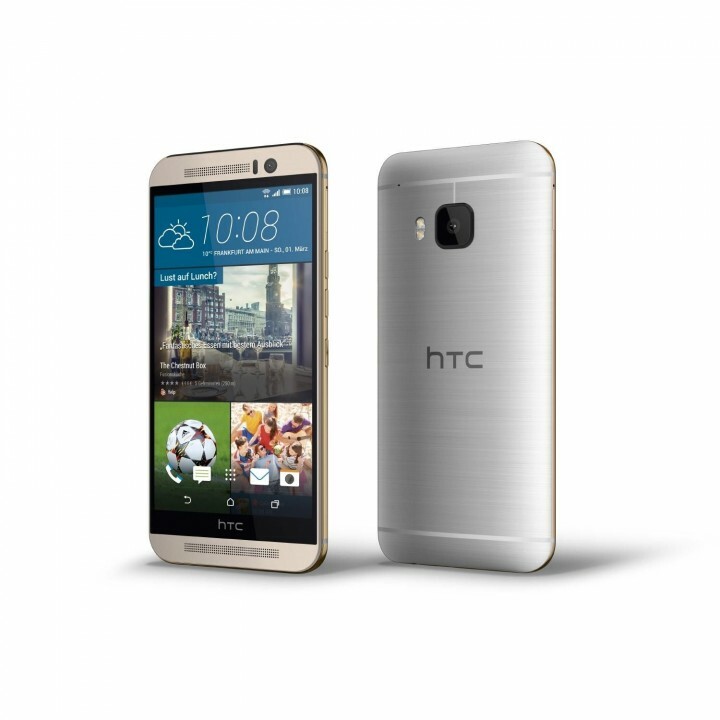 Get a New HTC One M9 Today? Check out the M9 Dot View Case! | Android News at HighOnAndroid.com! Get a New HTC One M9 Today? Check out the M9 Dot View Case! Today marks the official launch of the HTC One M9 in the US, that means at carrier stores and popular 3rd party retailers like Best Buy. The M9 is very similar to last year’s M8 model but with Sense 7.0, slight physical changes, and an improved camera. The camera has seen further improvements due to a recent software update. One of the characteristics that sets the M9 apart from the competition is the innovative Dot View Case. A few days ago I received my Dot View case in the mail from HTC in the Black Ice flavor. Below is my video review of the HTC Dot View case, check back after the break for my detailed thoughts! One of my chief complaints with the M8 Dot View case was that it often felt like my phone would slide out of the case on left edge, it did not secure the phone very well. HTC improved the Dot View case from the M8 by giving the version for the M9 a construction that fits your phone more tightly all around. In addition to securing the phone better the M9 case adds the option to have a clear back, allowing you to show off your beautifully constructed phone and chosen color. I was initially psyched to have the clear back option (as you can see in my video above), but over the past few days I have noticed that the clear back scratches very easily. I compared the scratching on the M9 Dot View case to the scratches on my Spigen Ultra Hybrid clear case, and the scratches are much worse and noticeable on the Dot View case. I used both of these clear cases for approximately 3 days so the Dot View case is clearly prone to scratches in the Ice variant. The case is also difficult to use with one hand as it is necessary to fold the flap back and hold it there. HTC could improve the next Dot View case by making the cover stay open on it own without snapping back in place. Aside from these minor complaints the case is overall well constructed and fun to use, especially at night. I have gotten several compliments while using the case at night, it is unique and people will ask about it. HTC has added several features to the dot-view case software interaction. You can now play a brick breaker game with the case closed, adding some novel entertainment value to the case. The Dot View case also now supports custom scrolling messages and even custom doodles drawn by the user. In my opinion HTC could have priced the Dot View case a bit lower, at $49.99 retail it is probably $15-20 overpriced for the construction and materials of the case. However, if you can get a discount (I used my 25% accessory discount HTC sent for delayed shipping) it is absolutely a must-have accessory for M9 owners to distinguish their phone from the others out there. HTC currently has the Black Ice version I reviewed in stock, but they are out of stock of all other colors, hit the Amazon link below for the grey color at a discount! Next story Get a new Galaxy S6 or S6 Edge? Check Out Our Top 5 Tips!